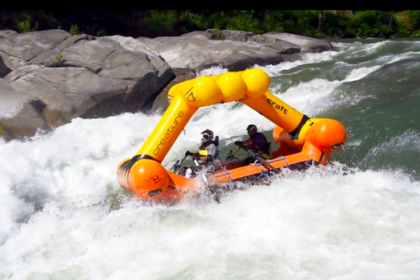 The Handi-Craft Adaptive Whitewater Tour is a one-man sensation! 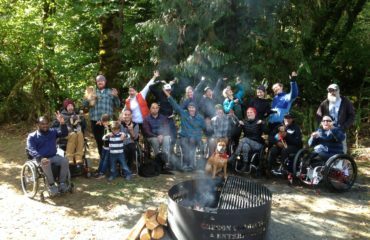 Eric Thompson sustained a spinal cord injury in 2012, and as many of us know, the injury flipped his world, but it didn’t snuff his spirit. Now he’s touring the US demonstrating how anyone can enjoy whitewater rafting. He was a ski patroller at Mt Hood Skibowl and white water enthusiast and commercial rafting guide on the White Salmon River. But with the loss of his core muscles he lost the ability to kayak or ski as before. It didn’t take long before Eric found a way to effectively and independently run class 5 rapids again by himself, without the use of his core muscles. He modified a Creature Craft capable of traversing class 5 and 5+ water that he controls by oaring. This modified, adaptive cata-raft (catamaran-raft) allows Eric to be secured in a supportive seat and independently run the fastest water anywhere! 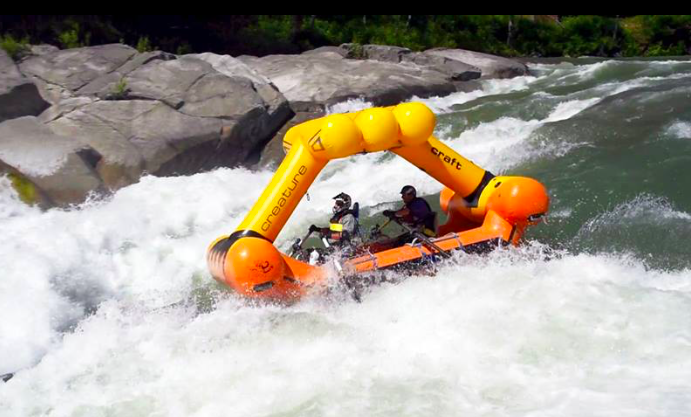 Creature Craft is a new whitewater inflatable cata-raft “that open vast new possibilities for fun and safety on raging rivers. Traditionally, with whitewater rafting, flipping guarantees a swim for the crew, exposing it to the elements and potential injury. The Creature Craft can be rolled back to an upright position while the rafter remains seated in the boat” (description courtesy of Creature Craft). Currently, Eric is road tripping solo across the country for a month, running whitewater, visiting friends, and promoting adaptive whitewater to other parathletes, adaptive programs, and commercial outfitters. 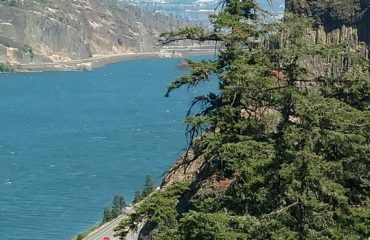 He hosted the Handi-Craft Adaptive Whitewater Tour in Hood River/White Salmon June 22nd – 29th free-of-charge to any- and all-ability folks adventurous enough to try adaptive rafting. Check out more photos of Adaptive Whitewater rafting at Eric’s Facebook page.